Dixon Projects is a one-stop shop for all your café design-build services with a team of experts in architecture, design, and construction. Streamlined through a fully in-house approach with a proven track record of expediting approvals and optimizing every inch of your space, Dixon Projects is well-positioned to execute your café renovation on time and on budget, so that you can start running your new business. Are you seeking a new space? If you haven't found the perfect space for your café, the good news is we can help. Begin with a complimentary site inspection to assess feasibility for your specific needs. Backed by a history of award-winning renovations and an in-house team of interior designers and architects, we'll work with you to create a custom floor plan, tailored to meet your exact needs. Are you searching for a construction team? Benefit from a nimble, in-house approach that allows our team to step in at any point in the process. You'll remain fully informed through weekly progress reports, freeing up time for you to focus on your other business needs. 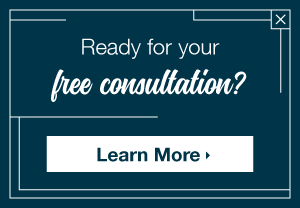 No matter how far along you are in your café renovation journey, Dixon Projects is poised to help you bring your space to life, starting with a free consultation. Learn more about our café services today! "Dixon has been fantastic to work with. Their professionalism and service is way above what I was expecting - I just wish I had brought them onto the project sooner." Discover how Dixon Projects can build you a high-quality space on time and on budget. © 2018 All rights reserved. Dixon Projects is a licensed general contractor in New York City (license number: 2047244-DCA) and New Jersey (license number: 13VH07565900).